The viral video had over several million views on YouTube when the video was uploaded. Nearly 1 million view per hour when it was uploaded. 10 days after the release of the video Jason Russell had a meltdown in California. This flyer was for an event at a Student Center in Florida. 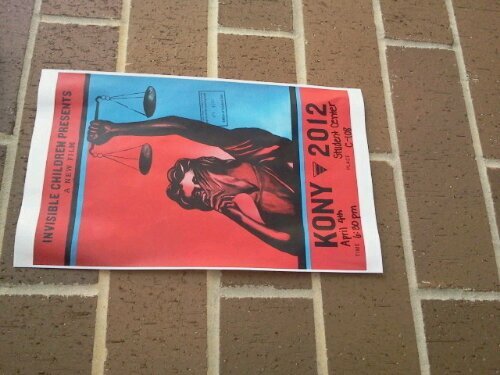 Kony 2012.